The plaintiffs in the case, the pro-gun groups Rocky Mountain Gun Owners and the National Association for Gun Rights, supported by the Second Amendment Foundation, argued the right to bear arms clause of the Colorado Constitution, written in 1876, was trampled by the magazine cap. They argued the protection prohibits the government from setting limits on the firepower available to Coloradans, citing for instance that magazine-fed Gatling guns were available and in circulation to civilians at the time the state constitution was adopted. In support of the state’s case to keep the law intact, the court cited the magazine cap does not ban grandfathered examples in circulation prior to the law taking effect and that there were also “millions” of magazines in sizes of 15 rounds or fewer commonly available. 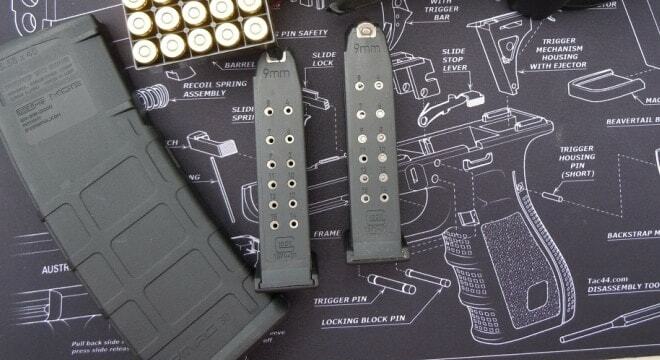 Colorado’s magazine cap drew fire immediately after it was adopted as firearm accessory giant Magpul, then located in the state, pulled stumps for greener pastures in Wyoming and Texas. Subsequently, Republicans in the state Senate in both 2015 and 2016 passed repeals of the measure and have kept the pressure up in the chamber ever since to roll it back. As for the plaintiffs in the case, Dudley Brown, executive director of RMGO, told Colorado Politics the group will appeal Thursday’s ruling, which could end up with the state supreme court.